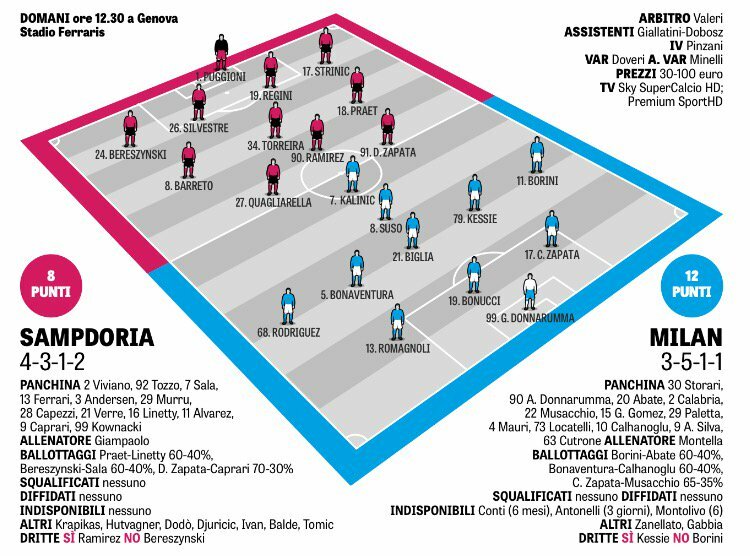 Gazzetta is saying that Borini will start as wing back. Zapata behind him. I wont be able to catch the match sadly. Hoping for the 3 points. It's not a bad idea. Sure, Abate and Calabria played well in their last games, but I'm not averse to trying it. I would prefer not to do such experiments in this game. I don't like this timing.. wish they would go back to evening matches only..
Do we get to choose when we'll play? I'm pro trying borini at RWB, but against sampdoria away? Does borini offer anything other than energy on the pitch?